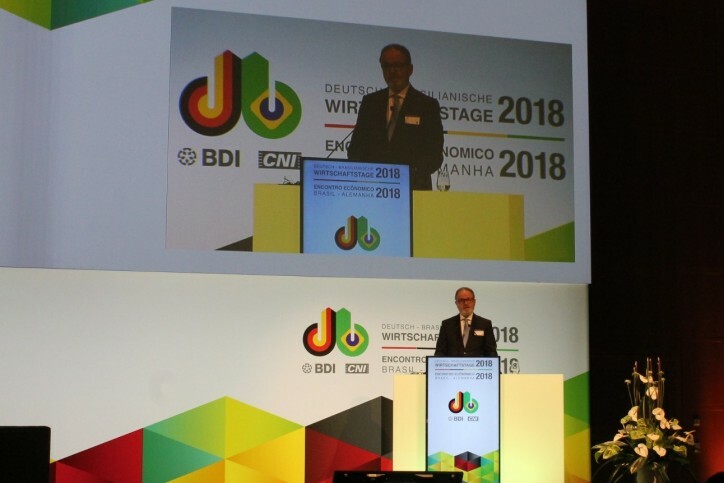 The vice president of the National Confederation of Industry (CNI) Paulo Tigre said that bilateral strategic cooperation with the Germans should provide for policy discussion and promotion of the development of Industry 4.0, during the opening of the 36th Brazilian Economic Meeting (EEBA) . The event brought together over 500 entrepreneurs from the two countries between June 25 and 26 in Cologne, Germany. Under discussion were the creation of a pilot project for the development of strategic digitization plans, the dissemination of digital technologies in small and medium-sized enterprises (SMEs), and the creation of training methods within the context of Industry 4.0. In addition, also discussed was the progress in the negotiation of instruments that may offer benefits to both countries, such as the Convention to Avoid Double Taxation of Income between Brazil and Germany, with a direct impact on the competitiveness of Brazilian multinationals.